No, I haven’t gone totally missing. It’s been quite the challenge getting back into a routine is after a shift from the norm. (Summer ended how long ago??) Although somewhat dynamic, my new school schedule has fallen into some kind of place. I’m also getting a handle on the paperwork, which has been a bit more on overload than in previous years at this time. With all that, I still get to be a parent too. Since I want this site to be a place where folks can relate, I thought I’d take the opportunity to share some universal emotions. Regardless that it’s a normal part of the parenting journey, these feelings are still new to me. Just like anyone else, I need to feel and deal, along with finding a way to embrace this stage. Guess the beach was a place for letting go themes this past summer. Thanks to young-adult author Stacey Wilk for the inspiration to this post. It started out as a comment/response to a recent write-up at her blog and started growing, lol. So that his girl didn’t have to do the near-3-hour trek alone, Older Son opted to drive back with her the night before Hubby, myself and Younger Son were scheduled to leave. Younger Son (who is a few months shy of 17) got it in his head that he wanted to go with his brother. Though we weren’t thrilled with the idea, Hubby and I gave the okay. I can’t tell you how strange it felt to know they were on their way ‘here’ (i.e., home), while we were ‘there.’ Hubby was emotion-choked too, though a bit more together than I. Immediately though, he offered to collect our things and head out behind them. I held out. I knew once I got word they were home, I’d feel better. (I did.) It wasn’t so much them not being there as much as it was internalizing that “the next phase” has arrived. (You know, that tear-my-heart-up, Erma Bombeck, “No More Oatmeal Kisses” kind of next phase). I enjoy the freedom it brings, but I am dealing with the feelings of finality that our kids are grown. That vast space I couldn’t see at the end of when they were small and keeping me feeling overwhelmed has been bridged, and the bridge knocked out. There is no going back. Morning came. Hubby and I enjoyed coffee on our balcony, renting and riding bikes on the boardwalk. 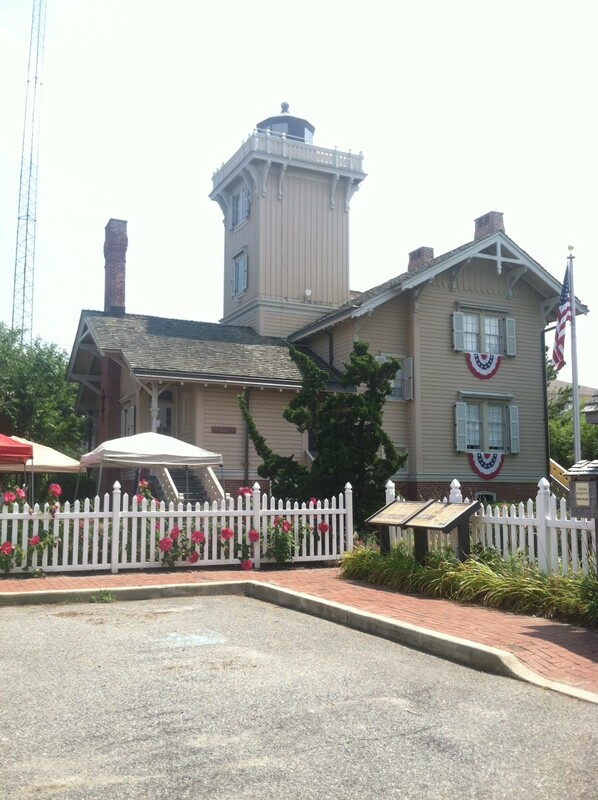 We took our time checking out of our hotel, then drove back to serenity-ville (a.k.a., the gorgeous gardens of the Hereford Lighthouse and the seawall walkway, down at the North Wildwood end. (A very short, well-worth-the-ride trip.) From there we geared up for our trip home, back to our boys (er, young men). Maybe we all “grewed up” a little on this particular trip. In keeping with the theme, Younger Son is scheduled to get the DL come the end of November. 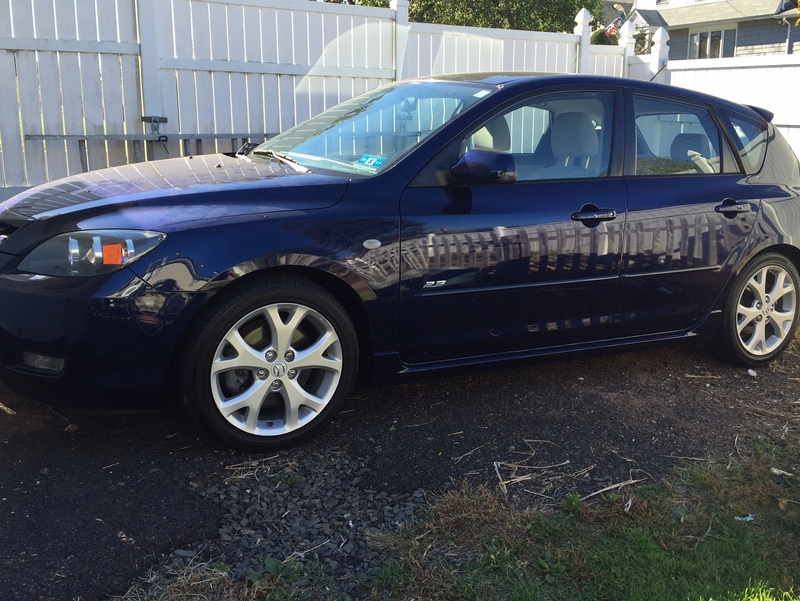 He’s been searching the web and local streets for months; as of several days ago, his new/used Mazda is in the driveway, patiently waiting. It is what it is, and all part of letting go. Where are you on this roller-coaster ride of parenting? Just starting out? Keeping your eye on the younger school-aged crowd or venturing into that tween-early-teen world of cell phones, texting and just starting to let them go to the closest convenience store within walking distance? Do you have any drivers yet? And how are you handling any/all of the above? I’m so glad my post offered some inspiration. Isn’t that what we all need while entering a new and sometimes scary phase of our lives? I applaud your standing on the balcony. I’m not sure I wouldn’t have blubbered right in front of my kids. Good learning lesson for me. This parenting journey is wonderful and paralyzing at the same time. Great post. Thanks for your very kind words, Stacey, and please forgive me for not responding sooner. (Seems the only reason I’m tapping keys lately is to keep up with annual reports or evaluations. So frustrating!). I’m glad my thoughts on the subject matter you inspired spoke to you, too. Not sure they’ll be staying alone again any time soon, lol. Sorry it’s taken me so long to get caught up, Carrie. Having my own driver has given me much more compassion for my mother, who still wants a phone call when I get to my house after a stop at hers, lol. As per kids staying alone, I have 6 months to consider whether I’ll be taking off to my cottage come next spring and summer. I keep thinking they’ll never be old enough to be w/o their ma. Thanks!